Club Penguin Cheats by Mimo777 Club Penguin Cheats by Mimo777: Club Penguin New Igloo Experience! 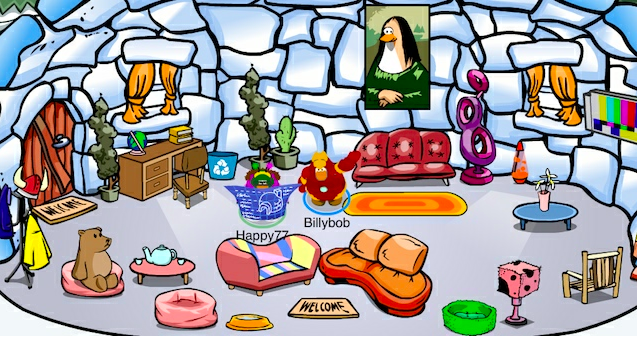 Club Penguin has a new igloo experience coming soon! 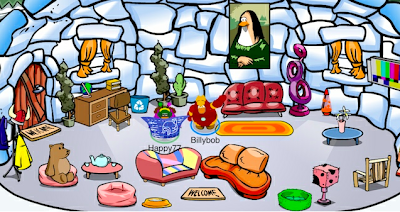 Over the next few weeks, decorating your igloo will be easier than ever! We will even be able to save multiple iggy designs! Woot! Club Penguin always seems to be working on something to make our gaming experience better, don't you think? Are you looking forward to this update? Hope it means we can save the flooring too. I miss my grass in the forest clearing igloo. I just met Aunt Arctic!!! She is the first famous penguin I've met!! I got her new background AND she is my friend too!!!! She told me I was a good reporter! !